Efforts to transition rapidly to renewable and clean energy solutions while satisfying growing urban mobility needs are key factors accelerating the sale and use of electric bicycles. 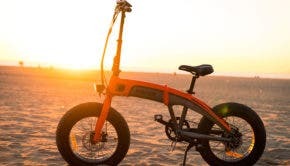 Widely used in Asia Pacific and Europe, the electric bicycle is well-established in those areas as a sound and serviceable means of dealing with stepped up congestion due to urbanization. However, electric bike use in North America and Western Europe is a new trend, especially among the younger riders. Electric bikes are a rapidly growing transit option in these regions. Enorm electric bike previously featured on CleanTechnica. Nine out of ten electric bicycles used are in China; yet, they are increasing rapidly in the West as modern consumers recognize the significance of lithium-ion over lead-acid batteries. Modern members of a growing culture of responsible choices, along with the East, make use of e-bikes in transportation — contributing to ecological and economic concerns, as well as transit fluidity in urban areas. With increased ridership, concerns for safety arise.This punctuates issues that concurrently need to be taken into consideration with urban planning; changes necessary in our transit systems — with lights and lanes, specifically for bikes and other modern innovative vehicles. Navigant Research, by the way, is the market research arm of Navigant, and it has a very strong focus on cleantech (scroll through its recent press releases or reports and that’s obvious). Navigant Research was previously Pike Research, which is probably a much more familiar name to long-time readers of CleanTechnica. “The team’s research methodology combines supply-side industry analysis, end-user primary research and demand assessment, and deep examination of technology trends to provide a comprehensive view of the Smart Energy, Smart Utilities, Smart Transportation, Smart Industry, and Smart Buildings sectors,” the company notes. What are the trends that will shape the market for electric bicycles? What are the distinguishing characteristics of different types of e-bicycles? What types of motors are used in e-bicycles, and why? Where are e-bicycles most popular currently? What are the differences in battery chemistries used in electric bicycles? How much revenue will be generated by e-bicycles, segmented by battery technology? How will government regulations influence the electric bicycle market? Who are the key manufacturers in the e-bicycle market? Who are the key battery manufacturers competing in the e-bicycle market? If you’re a bicycle or bicycle component manufacturer; steel, aluminum, or carbon fiber supplier; battery manufacturer; electric motor manufacturer; retailer; government agency or municipality; industry association; or potential e-bicycle investor; this report may be quite useful to you.